Beautiful 4 bedroom 4 bath home with 12 stalls and 1 grooms apartment available for lease. New 220x140 all weather jump ring with Martin Collins CLOPF footing. Reserve now for 2020 Season. 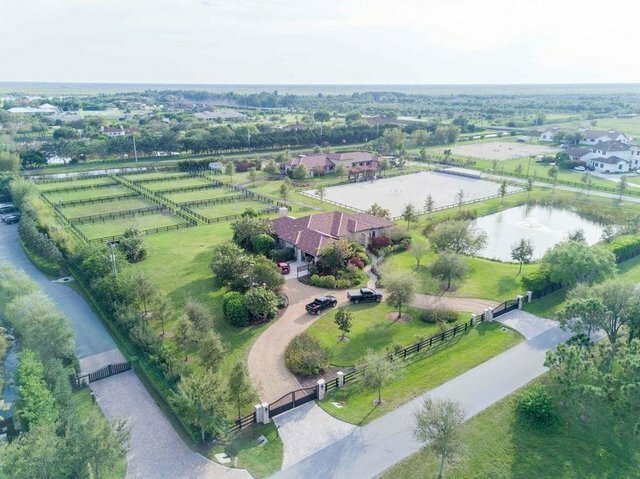 Located in the prestigious Palm Beach Point, this magnificent 6.5 acre Tuscan-style equestrian estate perfectly balances a private and peaceful setting with a prime location. The property features a newer home designed for great views of the gorgeous equestrian facility and the property's exceptional landscaping. Price reflects a seasonal rate and includes home, apartment and 12 stalls. A lease term greater than 4 months will be an additional cost. Owner will occupy 4 stalls in the 16 stall barn and share turnout and arena use.